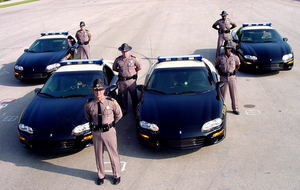 Over the five day Thanksgiving Holiday period, the Florida Highway Patrol instigated a crackdown on Florida’s roads and highways. Statistics have shown that this holiday is the deadliest time of the year for drivers, due to the increased traffic caused by the large numbers of drivers traveling to family gatherings statewide. Unfortunately, alcohol and drug-impaired motorists are also more prevalent during the peak Thanksgiving travel period. Because budgetary constraints are hampering the number of officers the FHP has on area roadways, administrative personnel were assigned road duty to assist with the Thanksgiving crackdown. The agency reports that 21 people lost their lives over the holiday period. Just under 8,000 citations were written, with almost 6,000 issued for speeding offenses. Additionally, 157 arrests were made for driving under the influence. The FHP also issued almost 1,400 citations for seat belt violations, and directed troopers to be on the alert for aggressive drivers. The personal injury lawyers at the firm have seen the devastation that a serious injury or even death caused by a drunk driving crash can bring to a family. They work closely with the Lee County Sheriff’s Office, along with Mothers Against Drunk Driving, (MADD), supporting their efforts to keep drunk drivers from getting behind the wheel. If you have been injured by a drunk driver, contact Associates and Bruce L. Scheiner Personal Injury Lawyers at 1-800-Dial-BLS or visit www.focusedonjustice.com.